In my case there is a clear link between dinos and marine snow. I've been trying to spot if that is the case for other tanks as well. It's quite difficult to eyeball the density of floating particles since it's all about reference. A dimly T5 lit reef tank with a bright background will not reveal them well compared to a bright small light source against a black background. The best general method would be to use a very bright (led) flashlight in total darkness. You would shine it from a side panel and watch the particles from the front panel. The indirect indication in my tank is that the skimmer is not pulling the same amount of gunk as before. These things change slowly so reefers are unlikely to notice them. The current theory is that the marine snow gets to stay longer in the tank giving dinos ample time to feast as they flock on top of them on the sandbed. If you get my drift you'll see how the claims from Vibrant make sense to me. It's the poop converting properties I'm excited about, so as I mention 5 posts back, assisting it the best way you can seems to be a wise thing to do. The guys at BRS seem to have dinos in their show tank and high particle count. How is it in yours? Carbon dosing could help, but that's not always the case. At least some dinoflagellates can take up organic carbon directly, as well as perform photosynthesis using inorganic carbon. There are references to mixotrophic dinoflagellates that Google will find. Are these primarily on your sandbed, or live rock? Sand, rocks, glass, pumps, overflow, snails, some corals, anything still for more than 5 minutes. Last edited by trmiv; 01/01/2017 at 02:34 PM. Your answer is on page one. Get to know what has been tried and then get creative. Thanks - I thought I was being creative...lol. I looked at page 1, 250 MH 20k is much different than all T5 20k...crisp white vs. blue windex, that is if your running a radium vs t5 ati blue plus...nonetheless I may experiment. Dirty method, clean method, adding bacteria\diversity, dosing nitrate, etc. hasn't it cut it. Perhaps will invest in a UV. Thanks for the help and great insight. I'm running 20,000k MH on my tank, and dinos seem to love basking in its blue glory. I've had both 20K Hamilton and 20K radium over this tank and they don't care either way. From some of the more experienced brothers on here. That read most or all of this . Can we get we get a re cap so far of the methods that seem to be working for most ? I battling Dino's , I don't know the strain it's the stringy brown crap with bubbles . On the rocks and sand , I blacked out the tank for 4 days 4 weeks ago and they came back ! Running a fuge with cheato , also a gfo reactor. I'm not over feeding , nitrates at zero , phosphates at zero! All rodi filters are new. I'm desperate I wouldn hate to have to tear down my tank .if I. Any beat them. And I don't want to dose chemicals that can hurt my fish . I'm doing another 5 day black out ,and I just ordered some vibrant to dose . A I run the blue leds 10hrs and white 4 hrs. I will also cut their timing down . As an ex-Dino sufferer, I'll just point to my recent posts in another forum and present this concept - "algae is your friend"
Got Vibrant in the mail last Friday. Two weeks earlier I decided to finish what I had left of Algea-X / Dino-X. Now that I only have three stamp sized patches of visible dinos left in the sump it should be a good indication if it works or not on a minuscule dino problem. In two weeks it has killed all my mini starfishes, the ones that lurk in their holes and put their tentacles out. It also killed my sponges. 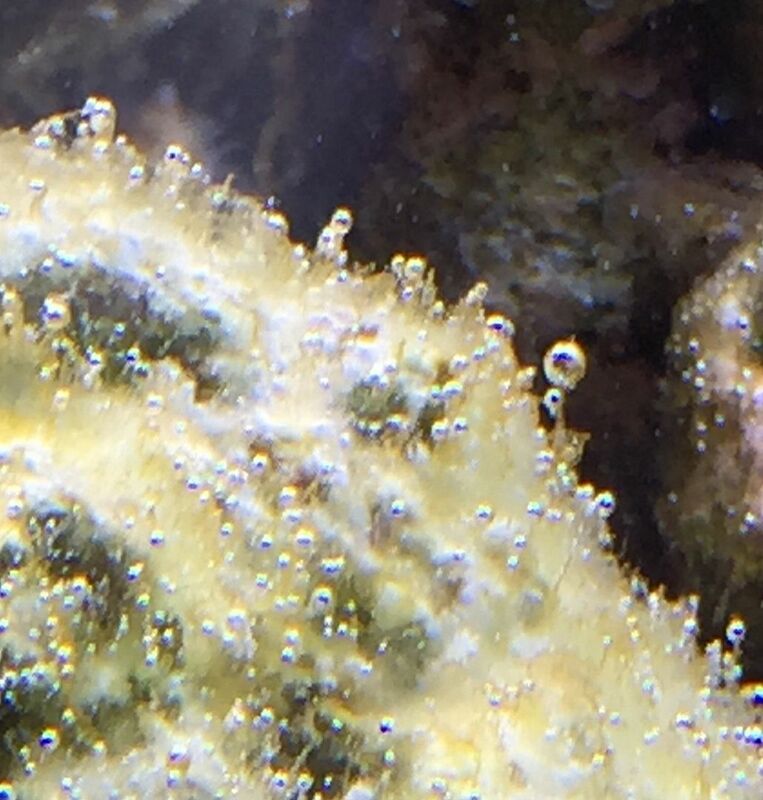 It left my ostreopsis dinoflagelles alone and the little algae I have left also. Vibrant has had 48 hours in the tank. The skimmate is much lighter brown in color and there seems to be more of it. I think I'm seeing a bacteria bloom in the water column and the floating particle count there may have reduced a bit. I did not expect fast results so lets see what happens in a couple of weeks. If you missed it I'd like to urge you to go back a page and read my posts from there. I've successfully beaten dinoflagellates with a method that makes a lot of sense. This thread has a big reader audience so I hope someone will take the health related issues further. The effects are subtle, but very real to me. Reefers, sailors and people living in coastal areas need to know the facts on this. 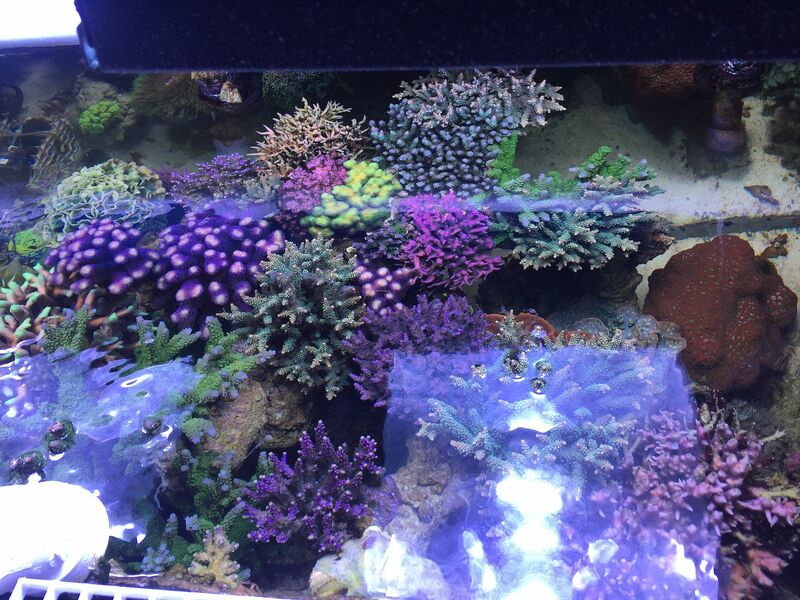 The cure you mention is removing marine snow by removing sand and most rocks and all corals? The dirt trapping capability of sand is amazing. Porous rocks will also hold loads of it. Your corals will not experience stability while you are doing this. Reduced lighting is also advised to reduce production of organic matter. I've been at this mother of all pests for way to many years and have tried and tested so many things it's hard to figure out new ones. This one is the most logical and effective by far. Since 99.99% of my dinos are gone and the remaining three stamp sized patches are probably less than what the average tank has you may call it a cure. I'll call it success, for now. Last edited by DNA; 01/16/2017 at 01:00 PM. I keep a thick sand bed but it's a vibrant mass full of worms. That's been a key to successfully keeping my sandbed. Your remedy works for you. No question. But I keep a sandbed while getting rid of dinos... the difference is likely in the biofauna in the sandbed. We tried water transfusions and live rock exchanges. Have we ever tried a sand bed transplant? Like a bone-marrow transplant. I added sand from my non-dino mature display to my bare bottom qt tank that had dinos. Also moved some little bags of rubble that seeded in my main tank first. This along with getting my nutrients up enough to get some algae and bio diversity I feel is what got me over the hump. I didn't think much of it but I added some worms directly to my sand early on. They were in a display in a LFS. I asked how much and the owner said he'd just give me a baggie of sand from that tank if I bought something... so I bought something. I posted this in a different thread but perhaps it is more relevant here. I have a relatively mild outbreak, but they are persistent. I have tried or am doing; bacterial dosing, reduced photoperiod, vibrant (1 month), peroxide (6 weeks), manual removal via filter floss. It is hard to say, but the only things that I can truly say have helped are lights out and manual removal. If the other methods have, it has been subtle for me. 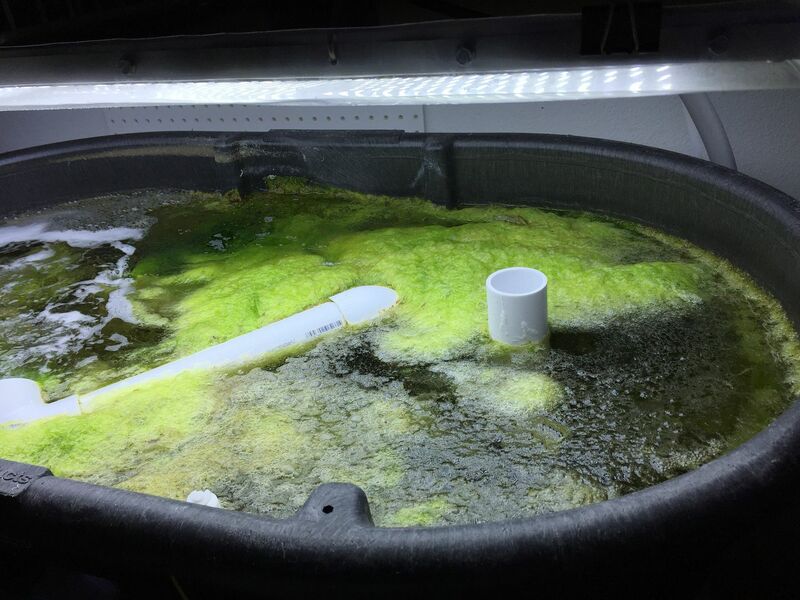 I may try dosing phyto and pods, hoping to further crowd out the dino and grow some other algae. I have not tried dino-x or removing the sandbed. I guess those will be next on the list. It might depend on the species but for me getting algae to grow was key as that brought on biodiversity. What's your no3 and po4 tests? Thanks Kurt. I have never once registered phosphate in my system. I may dose a bit to bring it up to detectable levels. I do have a sandbed. Getting rid of it would be a next step as well. I just hate the idea of people giving up sand beds because they don't have the right life in it. I would rather cure the sandbed than kill it.